Amherst Senior Transportation Services (ASTS) is a not-for-profit agency, committed to providing a special system of transportation to enhance the quality of life and promote the independence of Amherst residents 55 years of age or older. Residing in a private home or apartment. In need of transportation for Medical appointments, attendance at Amherst Senior Center programs, or Grocery shopping. 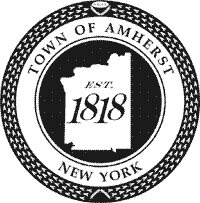 Special thanks to the Town of Amherst and The Amherst Senior Citizens Foundation (ASCF) for their generous support of the services we provide to the community.